Zuma is a video slot developed by Blueprint Gaming and based on a popular puzzle video game in which players have to match coloured balls to get ahead. This five-reel, 20-payline slot game is an absorbing, fun slot which is perfect for those players who enjoy a high-risk, high-payout game. While the Zuma video slot game is a popular version, it is actually a re-imagining of an older video puzzle game by PopCap Games. It was released on 12th December 2003. When reviewing the Zuma slot game, it is only fair to have a look at the game from which it all stemmed. Read our full review below. On screen, there is a winding path, a stone frog decorated with an Aztec pattern and a circular disc with a golden skull. A line of coloured balls in green, red, yellow and blue begin to roll along the pathway towards the golden skull. The aim of the game is to stop the balls reaching the skull by shooting balls from the frog’s mouth to match the colour of a ball in the path - three in a row will make them disappear (think Candy Crush or Beehive Bedlam). The matching colours will explode and in turn can trigger another explosion as a chain reaction if other colours then join together and match. The path is visible to the player in all levels except the last one. The player completes the level once they have eliminated all of the coloured balls from the pathway, avoiding them reaching the skull. Bonuses are rewarded throughout the levels if the player collects coins through the gaps and causes explosions through gaps of other balls and for causing large chains of explosions of the coloured balls. Also, bonuses can be triggered if the level is completed between 30 seconds and four minutes (depending on the level). The bonuses include four power-ups: 1. the backwards ball, pushing the line of coloured balls back, away from the skull for a short time; 2. the slow-down ball, which slows the speed of the balls; 3. the accuracy ball, letting the player have quicker shots and helping their aim by providing an arrow pointing towards where the ball will land for greater accuracy; 4. the explosion ball, which will cause all of the balls within a small circle to explode. Power-up balls must be exploded within a certain amount of time or they will return to normal balls. There are two gaming modes in which to experience the satisfying simplicity that is Zuma: Adventure Mode and Gauntlet Mode. Adventure Mode: The player begins with three lives, shown by frog symbols in the top left of the screen, and can get more with every 50,000 points earned. Extra points are awarded for shooting a coin with a ball, getting chain bonuses by exploding a group of multiple balls, shooting through gaps in the row of balls, or finishing the level in ‘ace’ time. The adventure mode sees players travel across ‘worlds’ - there are three worlds with five levels each. Worlds one to three have coloured balls in red, green, yellow and blue; worlds four to six include purple in addition to these colours; and white balls are added from world seven onwards. Levels get progressively longer and harder in difficulty. Gauntlet Mode: This mode of play allows for practice on a level already reached by the player in Adventure Mode - they can practise to complete a level or practice in survival mode, where they have to keep up with rapidly changing colours and speeds of balls. Gaunlet Mode levels are Rabbit, Eagle, Jaguar and Sun God. Computer Gaming World nominated both Zuma and Zuma Deluxe for awards. In 2003, Zuma was nominated for ‘Puzzle Game of the Year’ award (which it lost to Bookworm), and in 2004 Zuma Deluxe was nominated for ‘Arcade Classic of the Year’ (which it lost to Sid Meier’s Pirates). The game name ‘Zuma’ comes from a shortened version of the name of an Aztec emperor named Montezuma II. Well, his full name was actually Motecuhzoma Xocoyotzin in Nahuatl (meaning Montezuma the Young), but we will go with Montezuma II for now! The Aztecs were a people who populated Central America from around 1300 to 1520, famous for their introduction of agriculture and irrigation, for their intricate temples and for their bloodthirsty human sacrifices to their gods. Montezuma II was the Aztec ruler when the Spanish landed in Mexico and proceeded to take over the country with a bloody and feverish enthusiasm. He was the ninth Tlatoani (ruler) of Tenochtitlan, the pre-Columbian Mexico City state. It was his army that famously challenged the Spanish conquistador Hernan Cortes. Motezuma II was emperor between 1502 and 1520, ruling over the Aztec Empire at its largest and most diverse, stretching from Mexico right down to what is now Honduras and Nicaragua. The game creators have honoured the emperor of this grand and legendary Aztec Empire with the shortening of his name to create a snappy title for this Aztec-themed video game. They have also used the beautiful designs associated with the Aztec Empire in the creation of the symbols and the reels. They were found by archaeologists on cave walls and pottery. Blueprint Gaming have made the Zuma slot a bright, eye-catching game with gleaming primary colours and interesting motifs. Now that we have a good idea of the original source game of this Blueprint Gaming Slot, we can have a look at the aspects of the video slot itself. Stake - Pushing this button will let you see your total amount staked. Stake/Line - This button will display the amount staked per line. Coin Size - The Coin Size button does what it says on the tin - you can select the coin size you will stake, which ranges from 1p up to a whopping £25 (displayed in local currency). Spin - Push this button when you’re ready to play to set those reels spinning. Autoplay - The Autoplay button will let you select the number of automatic spins you want, without interruption. Gamble - Push the Gamble button to open the Gamble Bonus screen. The original Zuma game was created in 2003 (was that really 15 years ago? ), which naturally means that the graphics and the animation of the slot game takes the biscuit in comparison. Blueprint have done their best to carry on the feel of the PopCap game, and they have done well. The music is familiar and sound effects hark back to the 2003 game. Not only that, but the symbols have been carried over too. The reels are set in a wild jungle backdrop, and the Gamble, Spin and Pay Table buttons are found under the reels on top of a stone wall. The lower-paying symbols are the standard 9, 10, J, Q, K, A playing card amounts. The lowest you can win with these symbols is 2x your betting stake, whereas the highest you can win with these is 50x your bet. The premium symbols are the Tiki bosses, five rather fearsome-looking characters complete with fantastic and detailed headdresses. The lowest payout with the premium symbols is 2x your bet, whereas the highest amount you will win is 500x your bet. On a side note, it seems slightly odd that there are ‘Tiki’ bosses within Zuma, since the rest of Zuma is based in the Aztec period in Central America. Tiki originates in the South Pacific islands, so this is a bit of a mixed bag as far as cultural phenomenon are concerned, but we can let this go - it actually works! In fact, the Tiki bosses add a great aspect to the game. The scatter is the good old stone frog from the old Zuma puzzle game. If you get three, four or five of these frog scatters on the reels in one spin, this triggers the Free Spins game. The Wild symbol is the Zuma logo. This can substitute for all symbols except the scatter, and can multiply your win by five times. If you are lucky enough to get five of these Zuma logo Wild symbols, you can receive a massive £10,000 payout. When you activate the Free Spins feature by landing three or more of the frog scatter symbols on the reels (on any reel, not just the middle as is often common), you are given the chance to shoot one of the five Tiki bosses to display the number of Free Spins you will be getting - this can be between 10 and 30 Free Spins. The Free Spins roll on, and once they are finished you then get another chance to shoot one of the other Tiki bosses - this will decide on the multiplier you will get. This multiplier will be applied to the win you received in your Free Spins! Blueprint Gaming have generously added the possibility to retrigger the Free Spins, meaning that you can win up to 50 free games with a 5x multiplier! Obviously, this massively increases your chances of that huge payout that you are waiting for. The Wild symbol is another of the fantastic Zuma game features. Substituting for all symbols except the stone frog scatter, and when it is part of a winning combination of symbols, it can randomly multiply your win amount by up to five times. The Wild logo symbol will make sure you have these wins during the Free Spins round as well. There is a gamble feature in Zuma - through this feature, you can multiply your win amount by either two, four, five or ten times! Within the gamble feature, you are faced with four gamble reels, separate from the five reels of the base game, and each of these four reels has 20 positions. You have the option of gambling your wins and getting a multiplier, banking half of your winnings after each round, or collecting your full payout and exiting the gamble feature. As always, please use the Gamble feature responsibly, as there is a chance you could suddenly lose all of your pot - such is the thrill of this incredibly fun, albeit risky, feature! What Is the Return to Player Percentage of Zuma Slots? With an RTP (Return To Player) of 95.74%, this may be a little less than a lot of five-reel games. However, don’t let this put you off playing the game - most land-based slot machines have an RTP of a similar percentage. The Return To Player amount in slots games refers more to the lifespan of the game and how much it pays over a long period of recorded time - not so much the amounts you can win on single spins. This Return To Player percentage reflects the long-term theoretical payout of Zuma. So, for example, for every £100 the player invests into the game, they should expect to receive £95.74 in return Also, you need to keep in mind that slots are games of chance - if the slot gods (or Aztec gods in this case) are smiling down on you, and luck is on your side, this game provides the springboard for winning brilliant amounts! Coin values available are between 1p and a huge £25. Zuma is ideally designed more for the high-roller or experienced slot player rather than a beginner, as it is highly volatile - it is certainly a video slot for players who love taking risks and getting the maximum benefits! There is no progressive jackpot in Zuma. However, with a £10,000 maximum jackpot and fantastic features with generous payout possibilities, Zuma is an exciting and entertaining video slot game, both staying true to the original puzzle game while also adding extra thrills. Fortunately, anyone wondering whether they will be able to access Zuma on the commute to work (or even at work) need wonder no longer: Zuma is available for play at any time and any location. This slot game is available with Slots Temple on all platforms - desktop computer, mobile and tablet (for both Android and iOS users). As with all games on Slots Temple, there is no need to download unnecessary and bulky software to play video slots, as they are available in your browser using HTML5. It is so easy and user-friendly and means you don’t use up any of your storage memory. Easy as that! When you are spinning the slot reels on your mobile device, you must have a reliable internet connection, or more importantly a connection to a decent Wi-Fi. There’s nothing more annoying than getting cut off from an online video slot game when you are in the middle of a good run - if you disconnect, you could lose all of that hard-earned cash! Remember: malfunction voids all plays and pays. Make sure you are not victim of a terrible Wi-Fi connection, losing that well-deserved Aztec gold! With that in mind, you also have the option to give this slot a go on any desktop computer or laptop too. Playing on a mobile device is an incredibly popular source of gaming now for giving your favourite online video slot reels a go, but you can always enjoy the Zuma slots game on a desktop device. By doing so, you will not only have a bigger and better quality screen but also an improved sound system for enjoying this online slots game as much as possible. Blueprint Gaming is owned by the famous Gauselmann Group of Germany. Blueprint were founded in 2001, and although part of Gauselmann Group, they are allowed to operate on their own in their production of online casino games. They are based in Bournemouth, UK, and they are known for a small number of slot games which, although there is not an exhaustive list, are known for their quality. Blueprint has licences from both the Alderney Gambling Control Commission and the UK Gambling Commission, both of which are recognized as being leaders in the regulatory industry. While they may not have as many slot game titles as some producers, Blueprint are up there with the likes of NetEnt at the forefront of modern gaming production. The high standard of their slot games tends to be severely underestimated. The entire Blueprint gaming experience is one which carries a great expectation with it, and it’s one which is constantly met with the unbelievable graphics, sound effects, themes and bonus features. Blueprint have released successful titles such as Bejewelled, Worms and Plants vs. Zombies. They are adept in transforming pop culture brands into slot games, and Zuma is no different. One thing to make a note of with Blueprint Gaming is that they are also successful outside of online gaming - they also have large numbers of land-based terminals, making them a pretty important company with fingers in many pies! Not only are they big in the online gaming world, but they have branched out into the land-based pubs and casinos world too. In fact, Blueprint actually have over 100,000 land-based gaming terminals across the United Kingdom, Germany and Italy. It is recommended that you spend a decent amount of time in free play to properly assess the game. Between 150 and 200 free spins will be best, prior to spending cash on Zuma or any online video slot game. This gives you the chance to decide whether each game is to your taste before you begin spending cash. Every online video slot game differs, so you need to find out if your personal tastes and specific budget will suit any new game you try. When you are playing a slot game online for free, make sure your stake is similar to the stake you would be betting if you had real cash in your account. Then you can at least make a decision on whether the game is for you. Being sensible and saving yourself from spending unnecessary money is a good start before playing for real! You should perhaps think about which slots features you enjoy most (e.g. the particular bonus features or number of free spins). This will let you narrow down the list of free slot games to try so you can start playing for actual cash sooner - and be sure to both enjoy it and also know what you are doing. It is becoming more and more of a trend for online casinos (where you play for real cash) to offer deals for players by providing their players with no-deposit bonuses for cash prizes. These are bonuses that are offered as soon as you complete the sign-up process. So, while the majority of online casinos will require that you make a deposit in order to claim your free spins, no-deposit bonuses enable you to play our most popular slots without having to spend any of our hard-earned cash. As with the free slots you can get here on Slots Temple, this can supply players with the opportunity to get to grips with the game play as well as decide whether or not this is the game for them. Zuma is a very popular game, and some online casinos do offer this as part of a no-deposit deal. Just like regular free spins, you’ll play your no-deposit spins with a determined bet amount - which is normally about 10p to 20p. When you claim your winnings, they are usually credited to your account in your bonus balance, so the requirements for wagering will apply. Each online casino has their own rules or terms and conditions, so please always make sure you thoroughly read these prior to playing or signing up. Here on Slots Temple, we have a large variety of free slot games with so many themes and skill levels! If you liked Zuma, here are a few suggestions we have for similar video slot games. Another five-reel slot game, this is another Aztec-themed slot from WMS gaming. There is a similar theme to Zuma here, but Montezuma also includes a Free Spin feature if three or more scatters land on the reels. They can lead to unlimited Free Spins - instead of shooting big bad Tiki bosses, the player spins two wheels to determine the number of Free Spins won. Montezuma has 30 paylines and vivid graphics. With five reels, 25 paylines, Aztec-based slots and a headdress to challenge that of the Emperor himself, Chief Rook of Rook’s Revenge is at first a serious, scary-looking native, but he soon begins to bust a few moves when you start winning! We love the totems and Aztec carvings as well as that cheeky chief’s dance moves. In the bonus round you will get 10 free spins as well as multipliers of up to 15 times. This slots game is based in the South American temples, in keeping with the lost civilisation theme. It has the feeling of a cross between the Aztec Empire and the world of Avatar, the movie. With raining reels, stacked Wilds and a Free Spins bonus, this game is another which will have you looking for the spin button again and again. Continuing the Tiki theme, this Gamesys slot is a game with fun gameplay and generous cash prizes. With an RTP (Return To Player) of 96.29%, the game also has not one but two bonus games and a great Autoplay feature, allowing uninterrupted reel spinning. With a fun spin on the lost civilisation theme, this Ancient Egyptian-themed slot, Pharaoh’s Fortune, combines both the mystic Ancient Egyptian mythology and a modern cartoon upgrade. The background music comes from the catchy famous tune, Walk Like an Egyptian, by the Bangles - guaranteed to get stuck in your head for days! With 15 paylines and a Return To Player of 96.54%, this slot is guaranteed to have you coming back for more. While this video slot is not an outright Aztec-themed game, it is still based in an archaeological cave location belonging to an unnamed civilisation. It carries all the excitement of Indiana Jones, with some fantastic graphics. A fire burns to the left of the reels, casting a flickering shadow over the symbols and creating an immersive atmosphere. There are no paylines, as this is a Cluster Pays game, so whenever six or more matching symbols land together, you are in luck. Lost Relics allows a stake range of 20p to £400, meaning this video slot is attractive to both beginners and well-seasoned game players. With a Return To Player percentage of 96.3%, it is an extremely enthralling and satisfying video slot game. A Merkur classic, Amazonia is set deep in the South American rainforest. This video slot gives a good element of control to the player - you control the number of paylines that are active at any time, as well as deciding how much your bet will be. Two Gamble games are present here, much like the Gamble feature in Zuma - except in Amazonia the player will be guessing the colour of a card or is faced with a ladder gamble game. The Amazonian Indian woman stands for the Wild, and she can replace all symbols except the panther and the temple. You could win up to £20,000 if five or more Amazonian Indians cover the reels! Suitable for all levels of gamer, Temple Quest takes place in isolated rainforest. Mystical and exciting, the game has an RTP of 96% and offers more frequent wins as it is a medium-volatility slot. Features include Mega Icons, taking up four positions on the reel, a free spin symbol, and three Scatter symbols, all increasing your chances of big payouts. NetEnt’s massive hit slot game Jumanji is all about the bonus features too - in fact, Jumanji boasts a huge eight bonus features! NetEnt, like Blueprint Gaming, have been leading producers in the transformation of pop culture icons and brand names into successful video slot games, and Jumanji is no different. With the exciting theme and superb graphics, this slot game has a Return To Player of 96.33%. Some of the bonus features include Sticky Vines, a re-spin bonus where winning symbols are frozen in place; Monsoon Wilds, where up to two reels are Wilds; Monkey Mayhem, where symbols are shuffled in to winning combinations; and Wild Stampede, where rhinos storm across the reels to add up to nine Wild symbols. Increase your chances of winning big with the thrilling Jumanji slot and its many bonus features! Another Blueprint Gaming classic, Cleopatra’s Riches is a five-reel, 20-payline video slot game too. With Ancient Egyptian motifs, the player explores Cleopatra’s tomb, where the reels are set, and can walk away with the possibility of a tremendous 10,000 multiplier win! The beautiful Cleopatra herself doubles up as the Wild, and there are autoplay and bonus features as well as a Pick feature, increasing your chances of getting hold of Cleopatra’s abundant riches. Can Zuma Be Played For Free? You can play the Zuma slot by Blueprint on Slots Temple for free. You do not need to sign up online to a casino or put down a cash deposit, meaning you will not feel obligated to share any information or download any software which you may not want on your mobile, laptop or tablet. Can I Get Free Spins On Zuma Slots? Yes, free spins are triggered when the stone frog idol scatter occurs three or more times on the reels. When you activate the Free Spins feature by landing three or more of the frog scatter symbols on the reels (on any reel, not just the middle as is often common), you are given the chance to shoot one of the five Tiki bosses to display the number of Free Spins you will be getting - this can be between 10 and 30 Free Spins. The Free Spins roll on, and once they are finished you then get another chance to shoot one of the other Tiki bosses - this will decide on the multiplier you will get. Are Cash Prizes Possible On Zuma Slots? It is possible to win real money while playing Zuma, but only when you have registered with a casino online and deposited money. Some online casinos can also offer free spin bonuses as part of their registration package - but different requirements for wagering will apply for each online casino. Please check these before playing. Can You Give Me Any Tips For Winning Big On Zuma? Slot games are largely dependent on sheer luck upon spinning those reels, which is why they can be so thrilling! We cannot guarantee any win or loss during Zuma, or during play on any slot game for that matter. RNGs (Random Number Generators) are the producers of slot game outcomes, and it is these RNGs which provide the totally random combinations in the game. This means that there is no way to predict Zuma’s (or any slot’s) reel combinations or wins. If you are looking for a win (which we are sure you will be), however, you can increase the likelihood of a payout if you use all ten of the active paylines. Increasing the line numbers means increasing the number of bets you make - although this can also risk dwindling your funds, which you need to be aware of. The best approach to online slot games (and any gambling online) is to set yourself a budget and stick to it - meaning you will be a winner every time, no matter the outcome. Set a maximum amount for each gaming session, then be strict with yourself - be able to walk away once you have spent only that amount. If you do end up getting lucky and getting a big win, split the money between your pot online and your own bank account. Importantly, when the fun stops, you should stop. If you find yourself becoming angry or frustrated, please ensure that you take the time to give yourself space and a break from the game. Chasing losses can be a dangerous game. Once you have run out of your set budget, leave the game completely and remember that you can always come back to it another time. Even wins require some kind of limitation - it is recommended that you set yourself a cap on your successes. There is nothing more fun than continuing to build on your winnings, but it is also so important to know when to mark it down as a victory and walk away. Losing those winnings after all of your efforts can be brutal, and having a limit on your winning amount will reduce the risk of that. Do I Need A Deposit To Play Zuma Slots? Slots Temple provides you with all the best online video slot games for free, without any deposit needed. Is It Possible To Download Zuma Slots? All of our slots here at Slots Temple are available through HTML5. 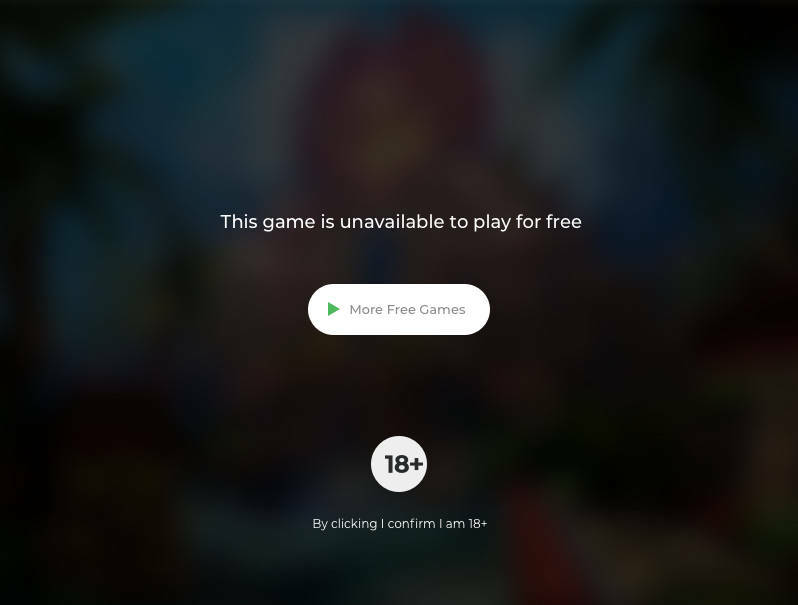 By playing the game through this, it allows you to spin the reels of your favourite games, including Zuma, without having to download extra software on your mobile, tablet or desktop. You can just play the game in your browser. * Zuma trademark / license is owned by Blueprint Gaming. This site is not endorsed by Blueprint Gaming.